Splenic artery is the main blood supplying blood vessel in spleen which is defined as an organ responsible for regulating immune system in body. Splenic artery aneurysm is the 3rd most common type of aneurysm. It is a rare disease i.e. only one person suffered in every one thousand people. It usually occurs in mid or distal portion of splenic artery. 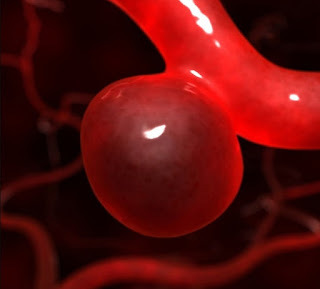 Epidemiology shows women are at greater risk of splenic artery aneurysm as compared to men. The chances are four times greater in women. In splenic artery aneurysm the diameter of splenic artery dilates up to 1cm. There are 3 to 9.5 percent chances of rupturing and if splenic artery got rupture, the mortality rate increases up to 36 percent. Usually splenic artery aneurysm is asymptomatic and can be diagnosed during incidental findings of another condition. During ultrasound, it appears as a curvilinear signet ring shaped calcification which is present in the left sided upper quadrant. Treatment is performed on the basis of patient history like in case of pregnant women, patients showing symptoms, patients suffering from ruptured splenic artery aneurysm and patient with pseudoaneurysm. Catheter based techniques are strongly recommended to treat splenic artery aneurysm exceeding 2 cm. Usually splenic artery aneurysm shows no symptoms. It can be diagnosed during diagnosis of another disease. Sometimes it shows symptoms like nausea and vomiting. Patient may also feel pain in abdomen. If splenic artery got rupture, then it can cause further complications. In almost 3 to 10 percent of cases suffer from ruptured splenic artery aneurysm. Rupturing of splenic artery increases mortality rate up to 35 percent. Due to rupturing of splenic artery with aneurysm, the immune system of body will get disturb because of improper functioning of spleen. So different diseases may occur in immuno compromised patients. The main cause of splenic artery aneurysm is not known, but there are some risk factors which may cause splenic artery aneurysm. It commonly occurs in women as compared to men. There are four times more chances of occurrence in women as compared to men. In case of younger patients, the common age reported is around 52 years. Other risk factors which may lead to splenic artery aneurysm involve previous pancreatitis, trauma, poly arteritis nodosa, multiple pregnancies, lupus and last but not least portal hypertension. Infection may also lead to splenic artery aneurysm. Catheter technique is used to treat splenic artery aneurysm. In endovascular procedure, the thin platinum or steel coils are placed in main splenic artery aneurysm site. These coils will cause disturbance in blood flow via subsequent thrombosis. Blockage in main artery does not cause any problem because spleen have rich sources of blood supply. Another treatment option includes stent implantation. Blood will pass through this stunt avoiding aneurysm. The recovery time is good i.e. within one or two days. If aneurysm occurs near spleen and affects inner vessels of spleen then spleen removal is highly recommended.